In front of a sparse, yet lively crowd at Coca-Cola Court, the Ryerson Rams defeated the Dalhousie Tigers by a score of 83-47 in their first home preseason game of the season. Despite the absence of head coach Carly Clarke, who was coaching the Canadian women’s national team in the FIBA World Cup, the Rams were valiantly coached by lead assistant coach Jessica Roque. 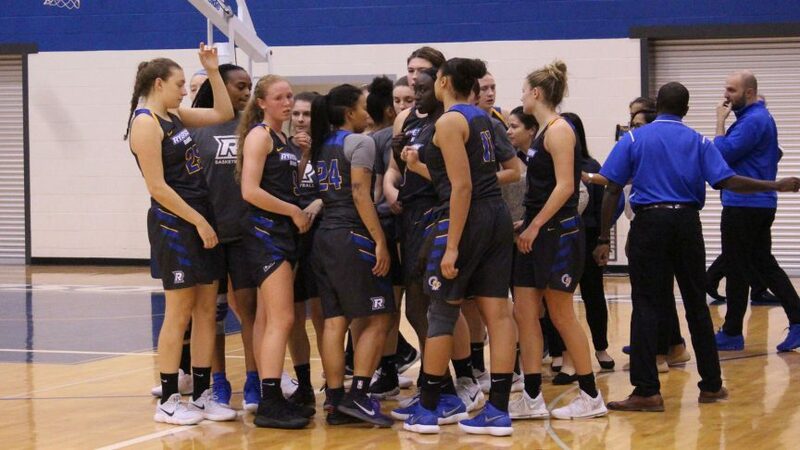 After a string of losing efforts at the BLIA Cup in Kaohsiung, Taiwan in July, the Rams women’s basketball team looked to bounce back against the visiting Tigers, who themselves were coming off of a pair of losses against the York Lions and University of Toronto Varsity Blues. Energized and well rested, the Rams came roaring out of the gate, leading 23-12 after the first quarter thanks to excellent defence and some timely shots early on. Star forward Sofia Paska led the way with nine points and a pair of assists in the frame. Despite some slight trouble outside the arc, the latter portion of the first half went equally swimmingly for the Rams, who led 39-24 after 20 minutes. Much to the chagrin of Tigers head coach Anna Stammberger, Ryerson continued to play solid defence and severely limited Dalhousie’s chances in the paint. The second half, quick and concise, solidified the Rams’ dominance. With a sequence of flawless shots from second-year guard Marin Scotten, the lead grew to 31 at the end of the third quarter and eventually reached as high as 36 midway through the fourth. Scotten, a native of Ottawa, Ont., finished the game with 18 total points, with Paska serving as the Rams’ leading scorer with 19 on the afternoon. Though the Tigers kept up for most of the first half, they were clearly outmatched, especially in transition. Rams forward Bronwyn Williams and guard Cara Tiemens also added seven points, while rookie Rachel Farwell notched four steals to lead the team. UP NEXT: The Rams head to Montreal to compete in the McGill Tournament the weekend of Friday, Oct. 12. They start off the tourney with an evening tilt against Bishop’s University Friday night.